This package includes 16 handcrafted fonts for display. This package will make your design speak louder since it has more personal touch. File format: .otf, .ttf for Photoshop or other software. 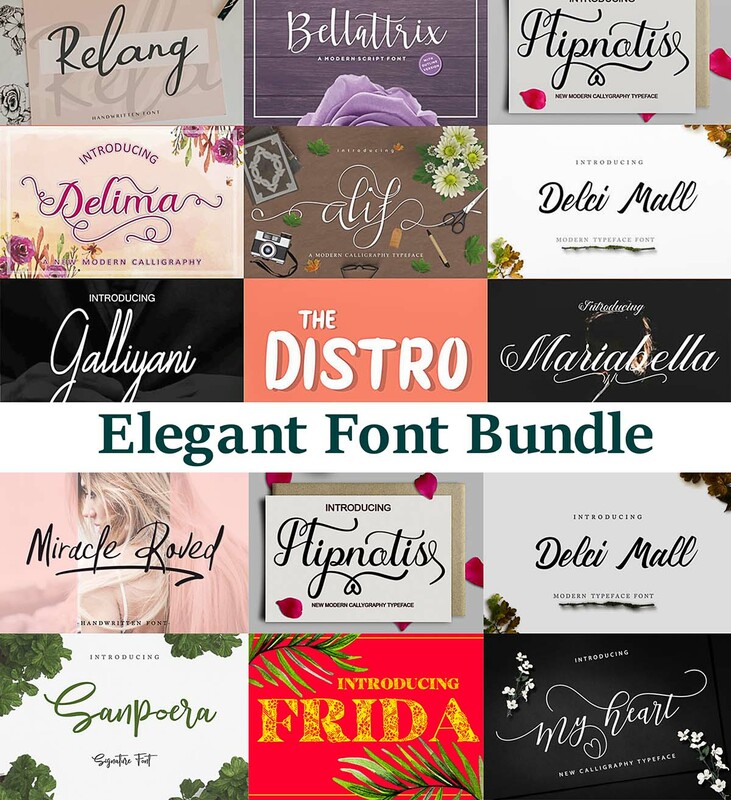 Tags: calligraphy script, elegant font, font bundle, font collection, font set, handwritten font.